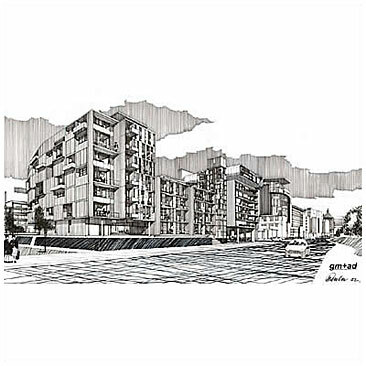 Gordon Murray and Alan Dunlop Architects have submitted plans for more than 850 apartments overlooking the Clyde waterfront in Glasgow. 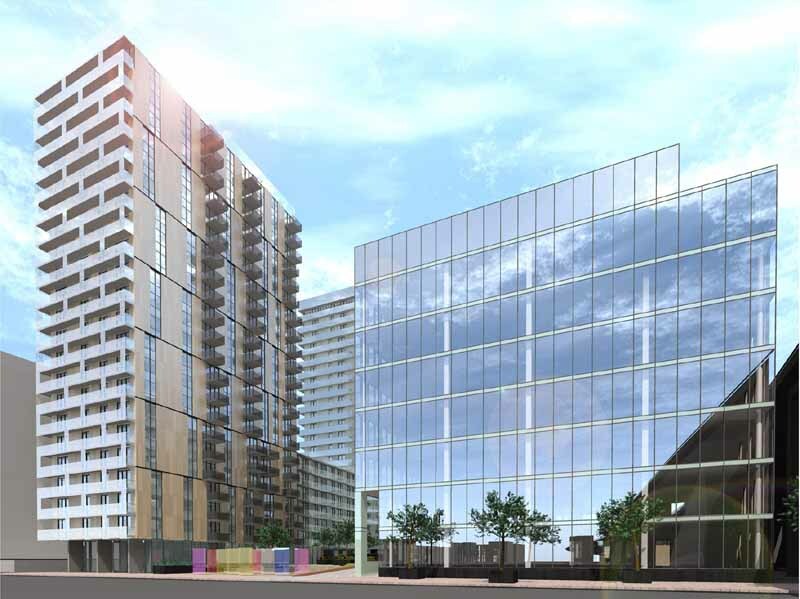 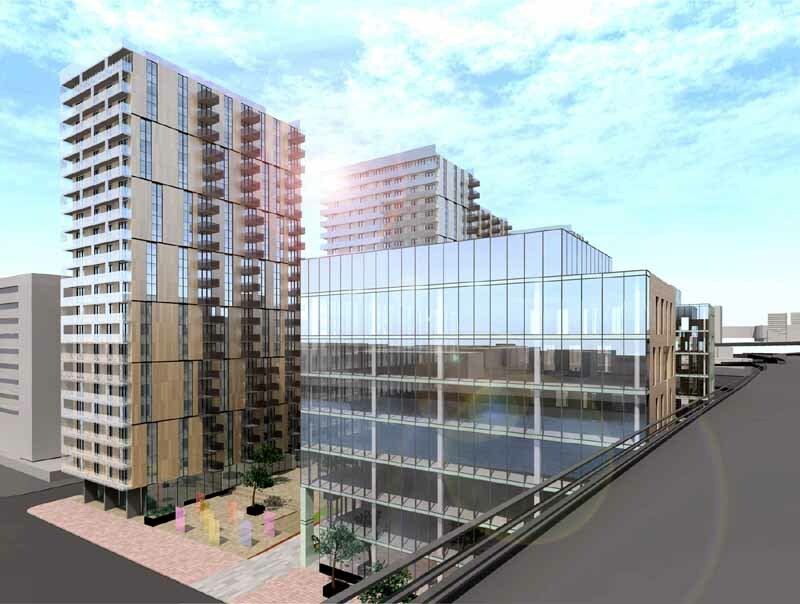 The project is for Dandara Ltd. the development company responsible for much of the regeneration of Manchester and will contain 853 apartments and 18,500 square metres of office space. 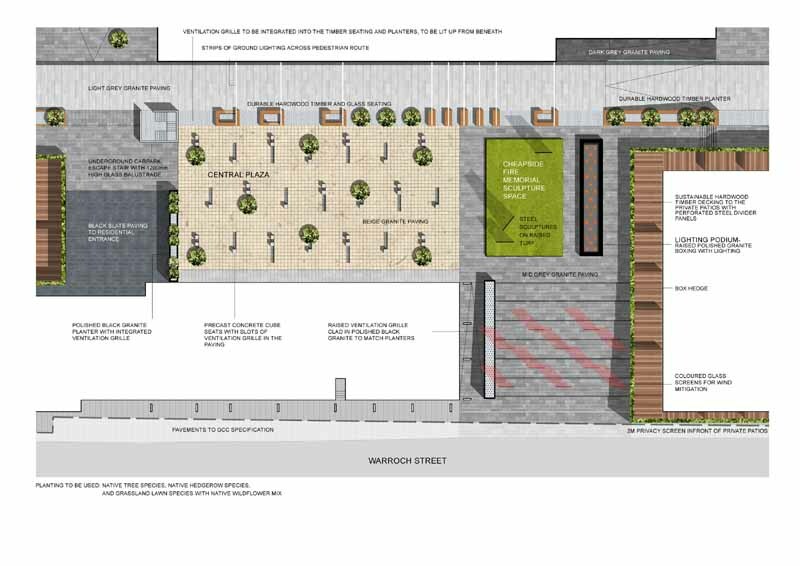 There will also be retail and other leisure outlets. 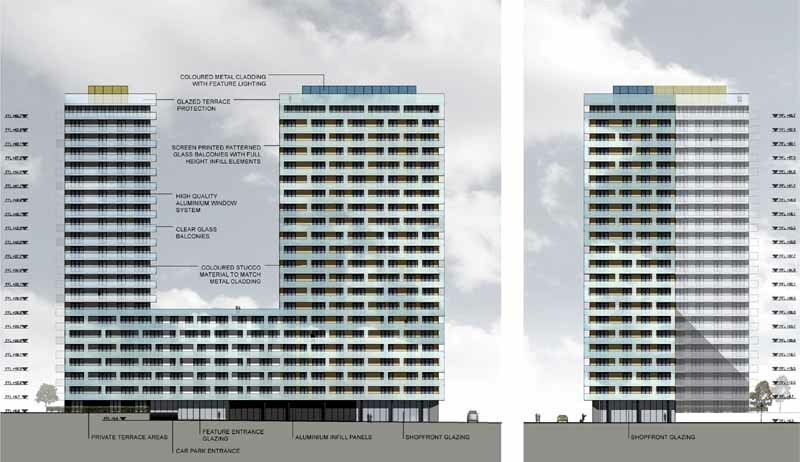 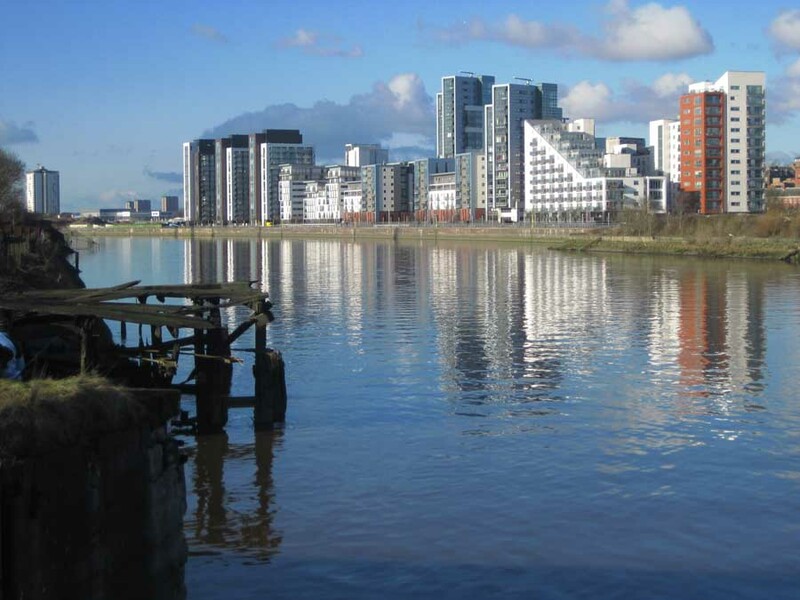 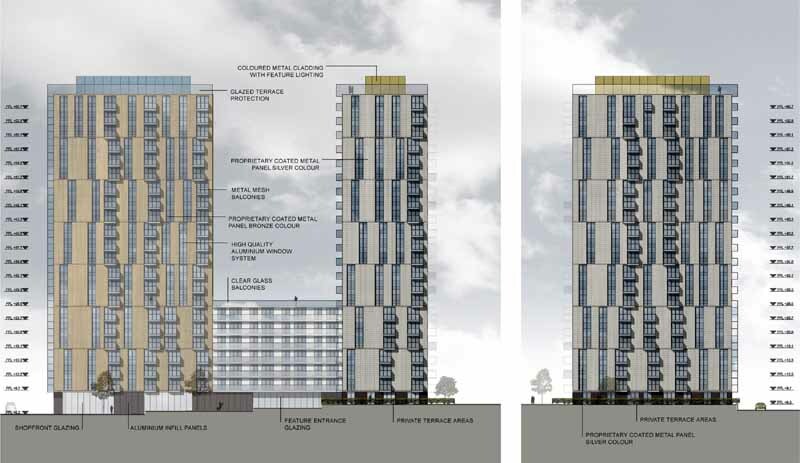 The £180m scheme, which if approved will see the residential properties housed in four 22-storey blocks, comes a day before Glasgow City Council is expected to give the green light for the completion of the Atlantic Quay development. 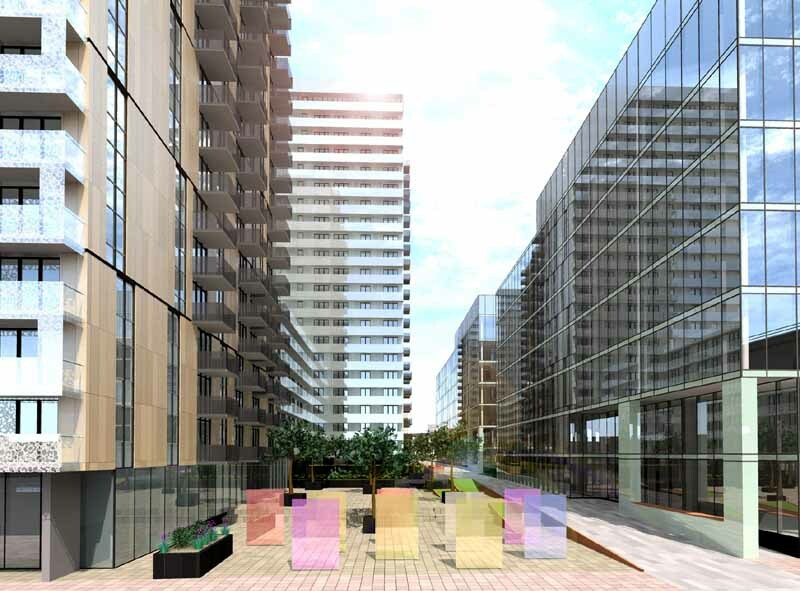 The plans, based at the heart of the city’s International Financial Services district, include six buildings, based around small public piazzas, and office and residential accommodation, as well as retail and leisure outlets. 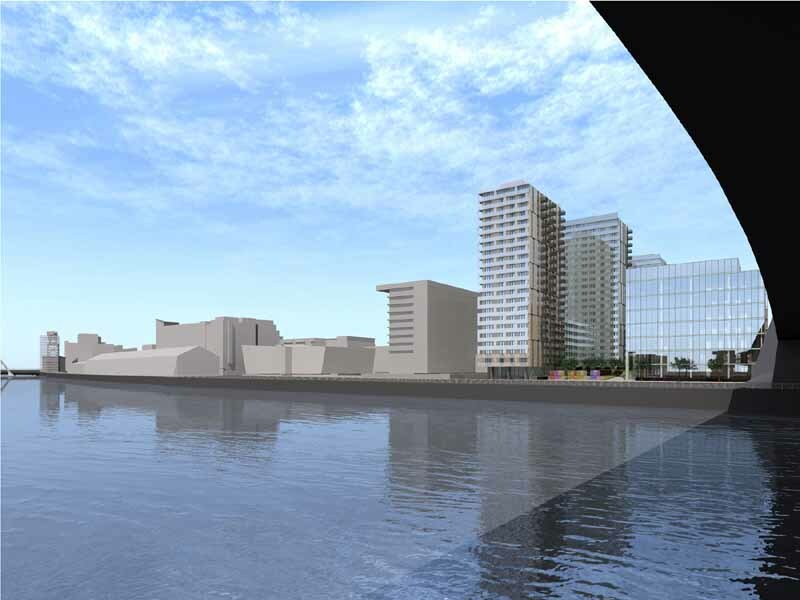 “It is a very challenging site”, says Gordon Murray , ” it is on the rivers edge but also right next to the Kingston Bridge and has potential as a gateway to the city.” It is intended that the location will enhance the connectivity” between the developments along the Clyde and Glasgow city centre if approved by the authority’s Planning Committee later this year. 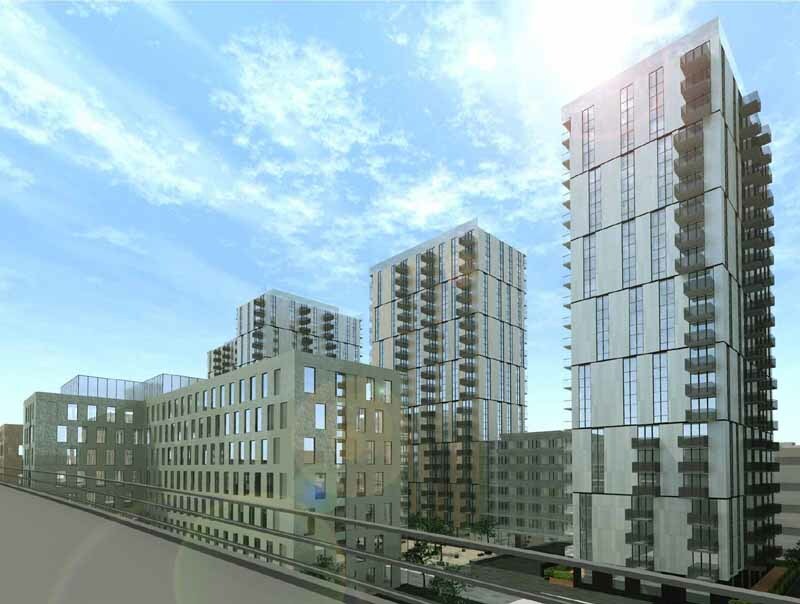 Peter Lackey, managing director of Dandara, said: “We look forward to bringing this scheme forward to enable commencement and delivery of another exciting major mixed-use urban regeneration project within Glasgow itself.